My trip to Texas feels like so long ago but in reality it was just a month ago! 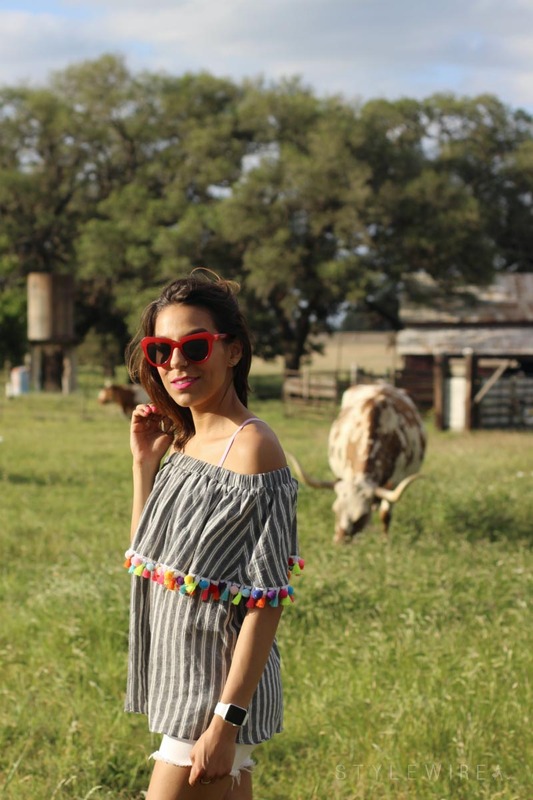 I styled this look for a day with my family at my Aunt and Uncle's home in Ander, Texas. It's not quite a farm (they have a handful of cows and longhorns, a donkey, and a pony) but there's an old barn and abandoned gas station on the property. We spent the afternoon riding around on the golf cart, feeding the cows, and trying to coax Phyllis the deer into the backyard to eat corn feed from our hands.